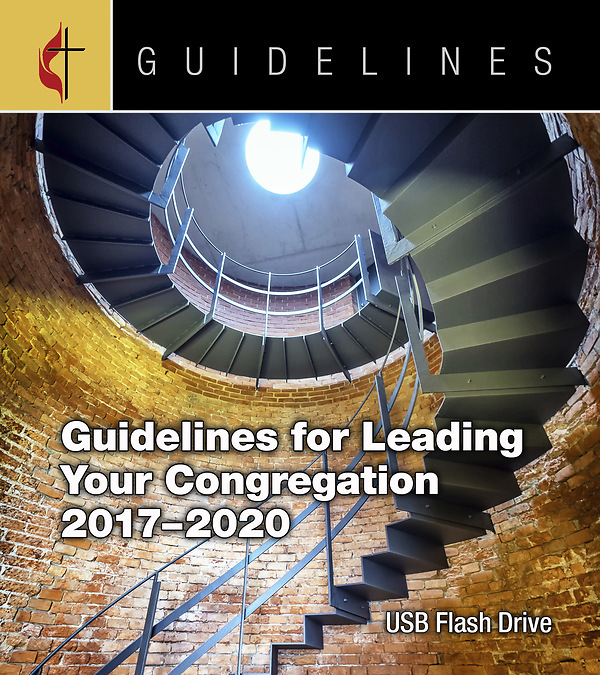 The twenty-six Guidelines for Leading Your Congregation 2017-2020, one for each ministry area, cover church leadership areas, as well as areas focused on nurture, outreach, and witness. The booklets are tools that get new lay leaders off to a good start and as a reference resource for all lay leaders. Each booklet includes the basic "job description" for the leader as well as practical "how-to" information important to implementing ministry effectively. Brief and to the point making it a perfect resource for the busy, but spirit-led leader. Contained on your USB Flash Drive is the complete text of all 26 Guidelines, along with valuable charts, surveys, and other tools your ministry leaders will find helpful. The texts are completely searchable; the forms are in Microsoft Word for adaptation to your situation; and the links to the United Methodist agencies' websites. You also receive The Guide to the Guidelines, explaining Guidelines and their use, and The Guidelines Orientation Workshop. The worship is used to train new leaders of your congregation's committees and teams to help them understand and use the Guidelines for their work in a particular ministry area. This USB drive is compatible with Windows and Macintosh formats, but you must have the programs required to work with any forms and other tools.